Prezentare A two-day retreat at Findhorn, Scotland famous as a spiritual center on the leading edge of personal and global transformation offered an ideal showcase for Eckhart Tolle's transformative concepts, documented in this exciting package containing a book and two DVDs that capture the author at his best. Using his trademark lighthearted but penetrating style, Tolle explores in depth the concept of stillness and how to achieve it. Only by doing so, says the author, can transformation occur. Stillness offers a doorway into the Now and to true personal enlightenment, according to Tolle. Too often, people become trapped in their mind-created sense of self. He explains the compulsions that drive people s thoughts as they analyze, interpret, and label every conscious experience they have. The result? An inability to perceive the sacredness in oneself and the natural world. 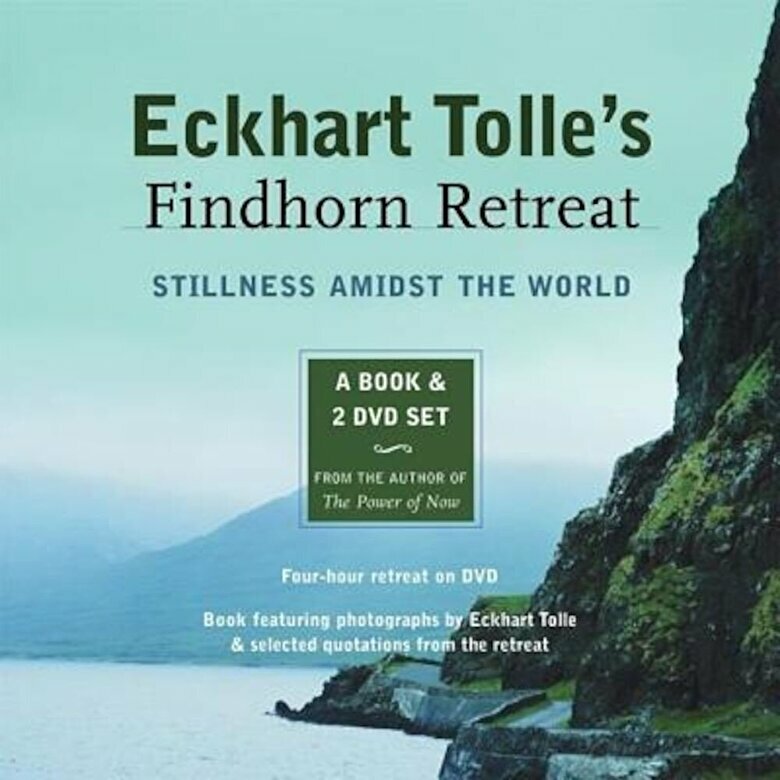 Eckhart Tolle's Findhorn Retreat offers serene sanity in a world in desperate need of it."